Woven brown leather braid caps the tooled edges of the silver circle pendant that is suspended from its leather cord necklace. 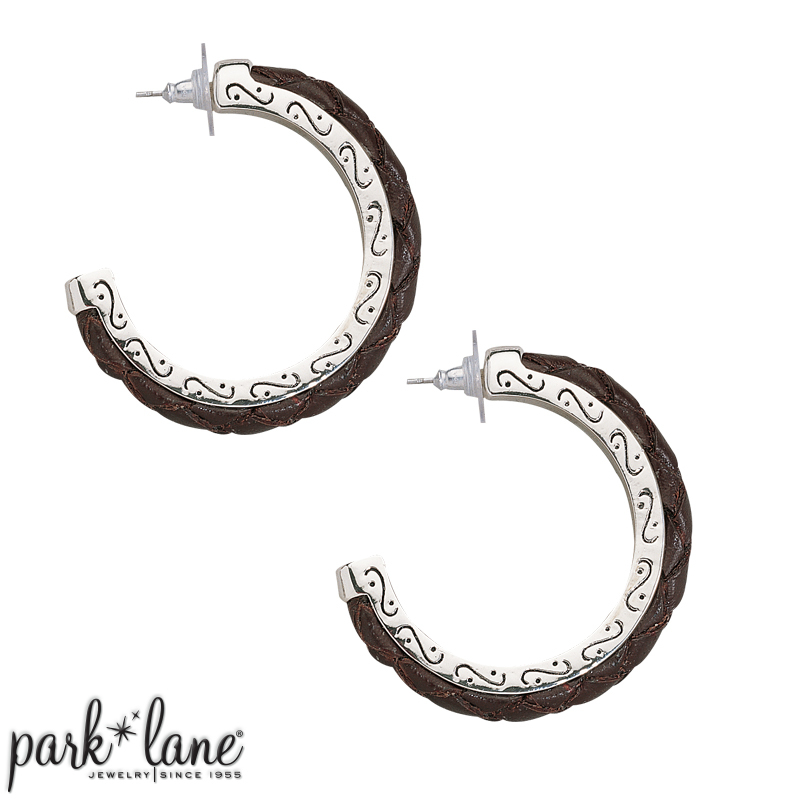 To complete Palomino, wear the bold hoop earrings and multiples of the bangle bracelets. Pierced earrings are post-style. Mix & match complements: Inner Circle, Verona. Bracelets: Madison, Cozumel, Volume, Cosmo, Instinct, Wild One, Naturale, Chocolat Mix the bangles with other silver bracelets. The bracelet also coordinates with Coco necklace.